Please stay on the trail, so that the surrounding area remains wonderfully pristine. 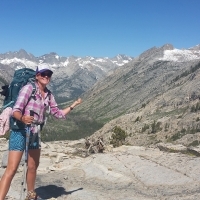 There are a lot of us that love the PCT. But we could love it to death if we’re not careful. 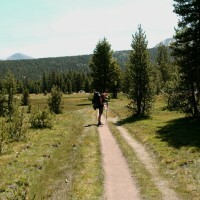 Each of us should minimize our impact on the trail and its surrounds. My fire, my lack-luster cat hole, my cooler of trail magic, my dinner scrapings in the lake and my sunscreen in the creek aren’t that big a deal individually. But it’s not just me. There is a cumulative impact that we all can address. We share a narrow space – often 18 inches wide – with many others. Thousands, tens of thousands, are following us. 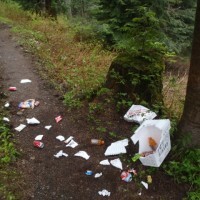 If we’re going to continue to have a healthy trail, each of our actions matters, good or bad. Thank you for protecting and stewarding this wonderful trail! 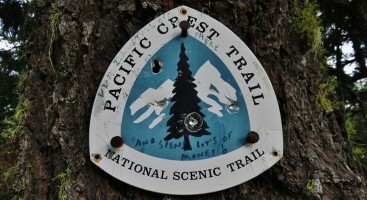 It is our shared passion that will keep the Pacific Crest Trail the high-quality experience that it is. If you can’t attend an in-person workshop, consider taking this online LNT awareness course. Are you a horseback rider? Minimizing your impact is critical. Please read this page and our information in our equestrian section as well. Poor advance preparation can cause damage to the environment. Small impacts repeated by thousands become major impacts. Examine PCTA, U.S. Forest Service, National Park Service and Bureau of Land Management websites in advance, and consult bulletin boards for regulations and guidelines. 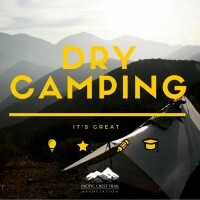 Note that camping and fire restrictions vary. Visit in the smallest possible group size; most campsites can’t handle more than eight people. If day-hiking with a larger group, split up while hiking. Carry a litter bag and use it. Bring a lightweight trowel for burying human waste (feces). 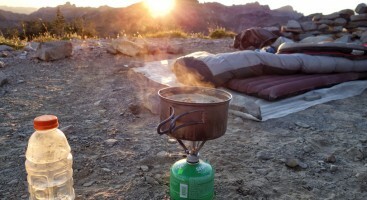 Consider minimum impact gear such as a free-standing tent and earth-tone colored gear. Carefully planned meals reduce impacts. Minimize leftovers by repackaging food into portions appropriate for your group. Prepare for extreme weather, hazards, and emergencies – especially the cold – to avoid impacts from searches, rescues, and campfires. Carry a bear-resistant food container wherever advised for storing food, trash and other scented items. In other areas, a waterproof bag and at least 50 feet of cord can be used to counter-balance your food and garbage from a tree limb. One careless step can start a trend of impact. Choose durable surfaces when you hike or stop for a rest. Focus activities on durable surfaces such as pine needles, sand, snow and rock. 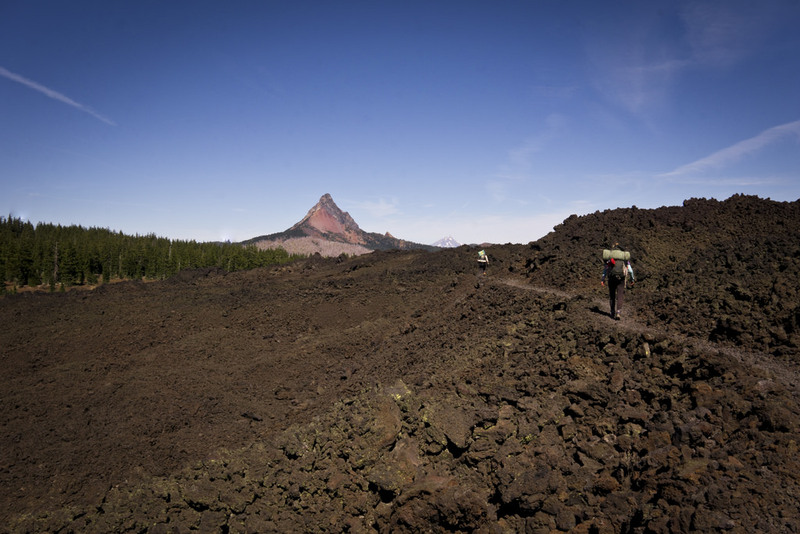 While on the trail, walk single file and avoid walking on soft, muddy areas on the sides of the tread, and on fragile plants such as lichens, mosses, flowers and seedlings. Hike on the trail; never cut switchbacks. If hiking cross-country, disperse your use (walk widely apart from one another, each choosing a new route) so a trail is not created. Avoid expanding existing campsites by using the already-impacted core areas of campsites. In pristine areas, select a durable surface such as a granite boulder or gravel ledge; naturalize the area before departing by replacing any rocks or sticks you moved. Improper disposal of food, trash, urine, feces, and wastewater spreads disease, changes the habits of wildlife, and spoils the scenery. Pack it in, Pack it out. Don’t burn, bury, or leave any litter (which includes food, nut shells, fruit peels, paper or cigarette butts). If an outdoor toilet (privy) is available, use it, but leave only human waste and toilet paper there – nothing else. Pack out disposable wipes and feminine hygiene products. If there is no privy, bury feces in a hole 6 to 8 inches deep and at least 200 feet (80 steps) away from campsites, trails, and water. Or better yet, do it miles away from camp and water. 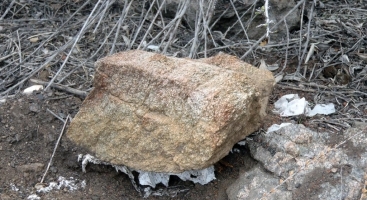 Don’t hide your waste under a rock; it won’t decompose quickly there. Pack out your toilet paper; animals may dig it up. In special conditions pack out human waste. 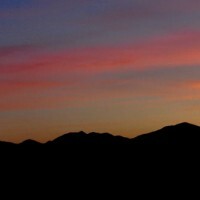 This is especially important in certain places such as the Mt. Whitney region, or during winter when deep snow prevents digging down to the soil. 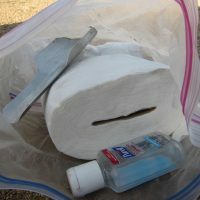 Disperse urine, toothpaste, cooking water and strained dishwater at least 200 feet away from campsites so the soil is not polluted and so wildlife won’t be attracted by the odors and become pests. Wash dishes, bodies, and clothing 200 feet away from water sources. Eliminate or minimize any use of soap. Dishwater can often be avoided by making a drink of the boiled water used to clean out the remnants of your meal from your bowl or cup. Removing or altering natural or historic items harms wildlife, scenery, and cultural values. Don’t damage live trees or plants. Leave dead standing trees and dead limbs for the wildlife. Take only pictures. Enjoy, but leave cultural artifacts and natural and historic features undisturbed. Don’t carve or mark on trees, rocks or signs. Refrain from building structures (rock walls, cairns, log structures, etc.) or digging trenches around tents. Campfires burn wood that would otherwise provides wildlife habitat and replenishes the soil. Trash burned in campfires attracts animals (skunks, bears and mice, creates an eyesore, and releases toxic fumes. Use stoves for cooking. If you must build a fire, build one only where it’s legal, use an existing fire ring (don’t create a new one) and keep your fire small. Alcohol and wood burning stoves may be prohibited if campfires are banned. Leave hatchets and saws at home. Collect dead and downed wood you can break by hand, no bigger than your wrist. Do not burn trash. This includes foil, plastic, glass, cans, tea bags, food, or anything with food on it. Leave fire rings clean. When wildlife obtain human food, or are approached too closely by humans, they may lose their wild habits, spread disease, and become nuisances or safety hazards. Don’t feed wildlife intentionally or unintentionally. Clean up food spills completely. Eat or pack out all food scraps, including the “bits” from dishwater. Store food and scented articles (toothpaste, sunscreen, insect repellent, water purification chemicals, balm, etc.) out of reach of bears and other animals using approved food storage devices. If hung, food, garbage, etc., should be 12 feet from the ground and 6 feet out from a limb or trunk, using a counter-balance method. Protect wildlife by viewing animals from a respectful distance. If you are hiking with a dog, keep it restrained and leashed. Hike your own hike, but remember that inconsiderate behavior detracts from the experience of others. Keep a low profile. When selecting a campsite, choose an area not visible to other visitors, where rocks and trees will screen you from view. A highly visible campsite out in the open or on a lakeshore can “occupy” a large area and prevent others from enjoying the solitude they seek. Keep voices and noise to a minimum. Protect the “quiet” experience that many seek. Refrain from using cell phones or audio equipment within sight or sound of others, and turn ringers off. Keep your dog away from springs and small drinking water sources. Bury your dog’s waste as you would your own. Step off on a durable surface and yield to others on the trail. 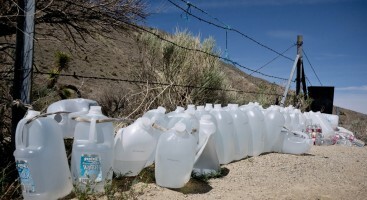 Never rely on water caches and don't put out new ones. Campsite choice is one of the most consequential LNT moments. An offense to all who've devoted themselves to the trail. The most fundamental of the Seven Principles of LNT. If you ruin a fragile or wet surface, the damage may be permanent. Just don't. Give food in person instead. Newbie thru-hikers are having an impact right from the start. It's glorious and good for the trail. Pack out everything. Even biodegradable things. These tools lead to unnecessary tree damage and campsite expansion. From carrying out toilet paper to digging a deep hole. Every time. 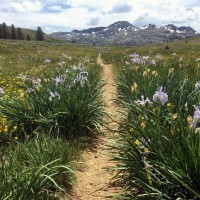 The Pacific Crest Trail Association and our partners appreciate your support. 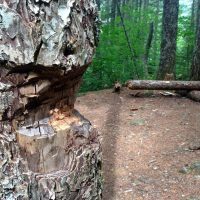 Every year, we field a huge team of volunteers to repair and minimize the damage that happens to the trail. From hiker caused burn areas to eroded meadows, please join us in our volunteer efforts and through minimizing your impact and following Leave No Trace principals. Thank you! 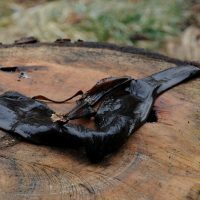 The core Seven Principles of Leave No Trace are copyrighted and have been reprinted with permission from our partner, the member-driven Leave No Trace Center for Outdoor Ethics.